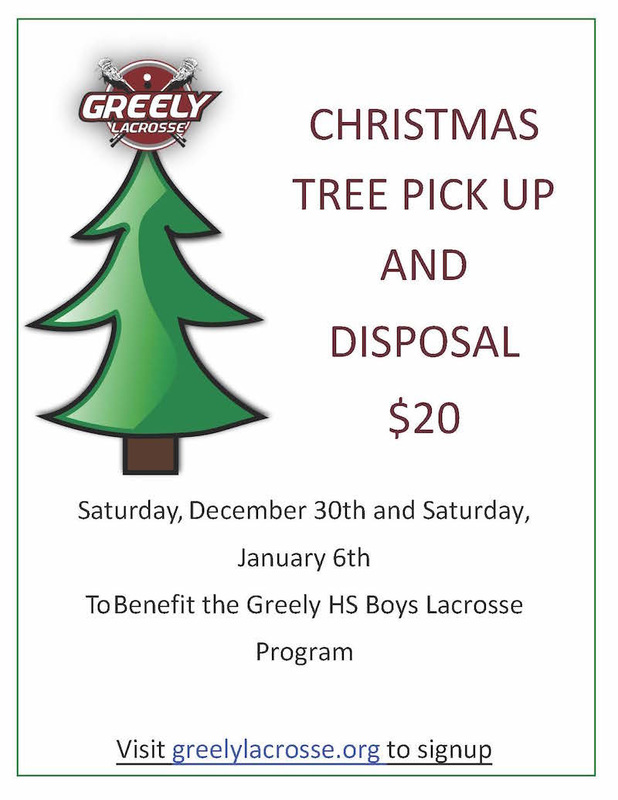 Greely Lacrosse parents and volunteers will be collecting discarded Christmas trees to raise money for the Greely High School Boys Lacrosse program. Pickup dates will be December 30, 2017 and January 6, 2018. The cost per tree is only $20 and we will come to your house, pickup your tree and dispose of it. All you need to do is leave your tree by the curb and we’ll take care of the rest. Please visit http://www.greelylacrosse.org to register and show your support for the Greely Lacrosse program. Please contact greelylacrosse@gmail.com with any questions.